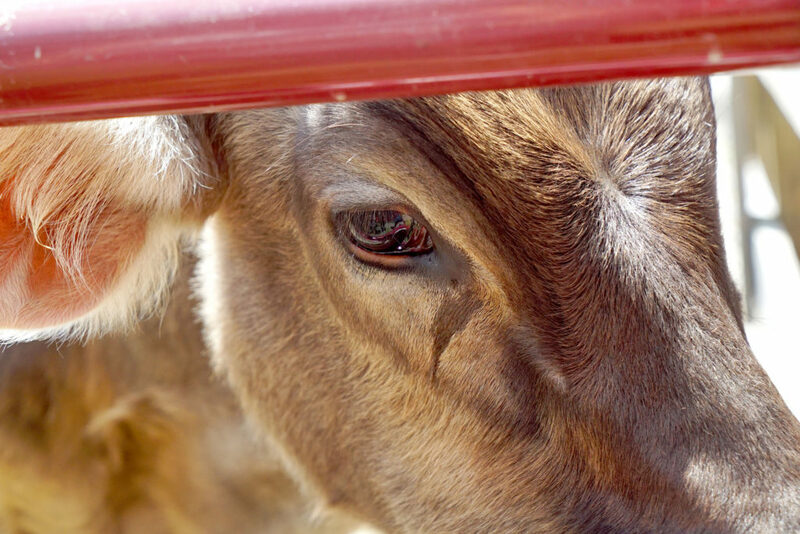 Before we get further into the “meat” of these advocacy posts, it’s important to lay out a few basic terms and concepts that you might run into if you’re anywhere near the beef industry. Heifer: A female that has never given birth to a calf. Cow: A female that has given birth to at least one calf. Bull: An intact male that still has his family jewels. Why do cattlemen castrate males? Well, it is one of three techniques used in herd management. Castration: Cutting the gonads off a bull is done for two reasons: (1) to control temperament; and (2) to improve meat tenderness. This process lowers testosterone. 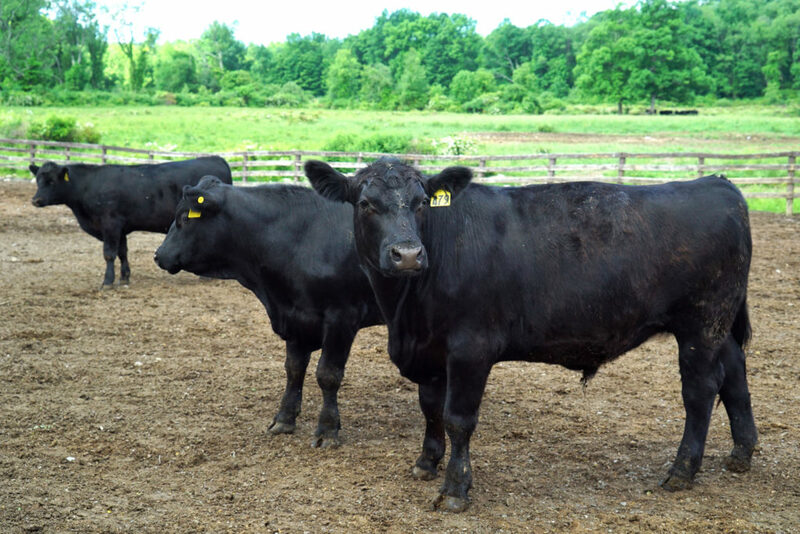 By lowering testosterone, farmers can reduce animal aggression as well as meat toughness. Castration is normally done within the first three months of life. De-Horning: Both males and females can grow horns unless they are genetically unable. By removing horns farmers can protect themselves and the herd from injury. Branding: The reason farmers brand their animals is to keep better records of individual animals, and to protect and identify their herd in the open range or at the marketplace. In the old days, this would also deter cattle theft. Generally, if things are timed correctly with calving season, these three herd management techniques are done all at once, in one quick procedure, which results in less stress for the animal. Calves need colostrum, a nutrient-rich version of mother’s milk, because it’s packed with beneficial vitamins and natural immunizations. But after some time, it becomes prudent to ween them off their mother’s milk and send them out to eat in the pasture. In most cases it’s as easy as putting the calves on the other side of a split-rail fence from their mother; they will still be in contact with one another, but the calf will eat grass instead of milk. Contrary to popular myths, calves are not born and then immediately rigged up to some bio-mechanical factory farm machine where they can’t move and are force-fed until the moment they are slaughtered. These are myths. Just like humans, animals need help every so often to fight off a bug. When sick, their ears droop, they cough, have runny noses and they separate from the herd and go off by themselves. Some diseases can be avoided through the use of vaccines, and illnesses can be prevented and combated with the use of vitamins and antibiotics. 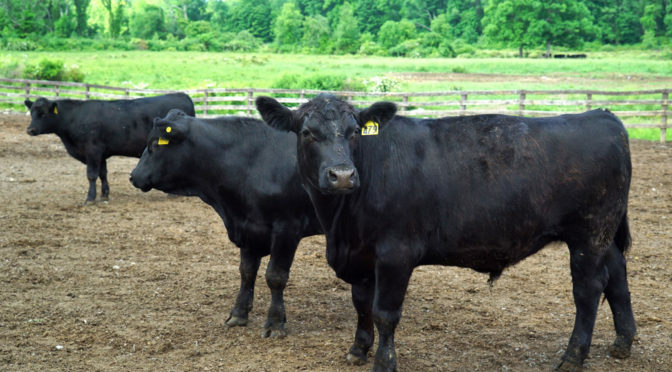 Beef Quality Assurance guidelines limit the location of vaccination shots so that the process doesn’t harm the meat by piercing valuable muscle groups. In addition, beef safety laws require no trace of the stuff to be present in meat prior to slaughter (you must wait a certain number of days before sending the animal to slaughter), and that little to no antibiotics that are given to the herd are in the same class as human medicines (to prevent a reduction in the effectiveness of antibiotics needed to treat human diseases). Last, grain finishing allows for the animals to go off to slaughter sooner, when the animals are healthier and younger than grass finished animals.